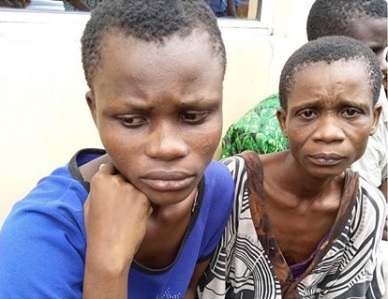 The officials of the Nigerian Police Force in Akwa Ibom have arrested a grandmother for the stealing and selling of her granddaughter for N200,000. A grandmother identified as Ekaette Obot, who allegedly stole and sold her granddaughter for N200,000, has been apprehended by operatives of Akwa Ibom State Police Command. According to PUNCH, Obot claimed she sold the child to free her daughter, Blessing Okon (18) of burden. While parading the suspect in Uyo on Tuesday, the state Commissioner of Police, Adeyemi Ogunjemilusi, said that Obot, who is also pregnant, told the police that as soon as she was delivered of the baby, she would sell it. 0 Response to "Why I Sold My Daughter’s Child – Pregnant Grandmother"